Now in Thailand's power supply structure, the ratio of gas power generation accounts is as much as 67%, 19% of the electricity comes from coal, only 8% of the electricity is from wind, hydro, solar and other renewable energy sources. With the exhaustion of the gas resources of the gulf of Thailand, Thailand which mainly depends on natural gas power generation has to formulate a new electric power development planning in order to meet the growing consumer demand. The enough sunlight is helpful for the development of solar power in Thailand. The wide application of solar power can reduce the rely on natural gas power generation. In year 2014, EverExceed cooperated with the engineering company have finished 50 sets 3KW off-grid solar systems for government in Thailand, those solar system generated electricity and support power consumption for villages, bring huge convenience for local people. In consequence, the green, steady and reliable solar energy systems are more and more popular with them. 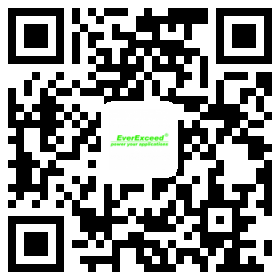 As a world-leading green power manufacturer, EverExceed has contributed a lot to the Thailand with the reliable and professional solar energy system. To help Thailand achieve "one village one MW project" solar energy plan, EverExceed Corporation promises we are willing to provide reliable technologies service and maintenance.